edition of The Red Tent. Her name is Dinah. In the Bible, her life is only hinted at in a brief and violent detour within the more familiar chapters of the Book of Genesis that tell of her father, Jacob, and his twelve sons. Told in Dinah's voice, Anita Diamant imagines the traditions and turmoils of ancient womanhood--the world of the red tent. It begins with the story of the mothers--Leah, Rachel, Zilpah, and Bilhah--the four wives of Jacob. They love Dinah and give her gifts that sustain her through childhood, a calling to midwifery, and a new home in a foreign land. Dinah's story reaches out from a remarkable period of early history and creates an intimate connection with the past. One of my challenges for 2019 is to read books off my shelf. The Red Tent by Anita Diamant has been languishing on my shelf for a number of years and it was at the recommendation of my son, Matt that I dove into the audiobook. 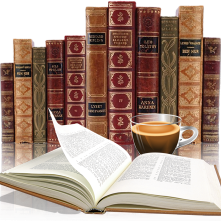 Biblical historical fiction is a genre that interests me. I know who Dinah is, I know all about her brothers, her father Jacob and her mother. From the book of Genesis however, one of the things that you don’t get that vivid and descriptive sense of the times. What I mean by that is you don’t get the day to day lifestyle, what they go through on a daily basis, what the societies are like, how they interact with each other and how far advanced they are in the sense of the lifestyle. 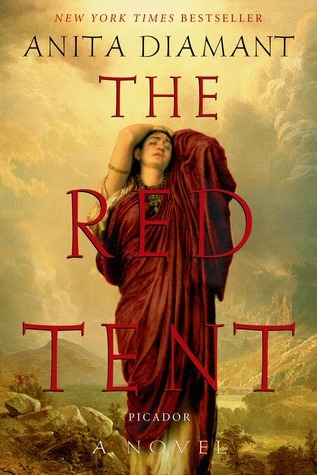 With The Red Tent the author has vividly described the time. There was so much that I learned through this book about the era with their beliefs, multiple wives and the role of women in the community - midwifery and their relationships with each other. The Bible tells us very little about Dinah but focusses more on her brothers and while there were parts of the story that strayed from the Genesis story I’ve still found this to be a very interesting and educational listen. This book was part of my 2019 reading off my shelf challenge (yes I have the book but opted for the audio).